Amongst those I tasted I was particularly impressed with the wines at Château Beauregard, Château Feytit-Clinet, Château La Commanderie [really good here]; Château La Pointe [knockout, pictured above], Château Taillefer, Château Vieux Maillet, Clos du Clocher, Clos Vieux Taillefer and Le Clos du Beau-Père [excellent]. 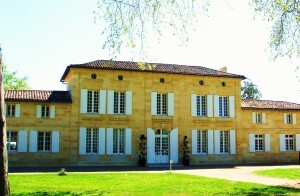 Good value should be found at Château Bourgneuf, Château La Clémence and Château Mazeyres. Château Maillet needs to integrate further but has plenty of extract and depth of fruit to soak it up. The popular Château Vray Croix de Gay has plenty of bouncy fruit and is appealing. Mid depth; earthy edge; certain elegance; some Cabernet Franc influence; layered on the nose; has some style; attractive purity too; pure palate; like this a lot; pure Merlot and lovely Cab Franc here; lends sophistication and polish to the Merlot; nice texture and elegance but also layers; I like this style very much. Great balanced too. Freshness. Very nicely done. Some mocha on the finish. Length. Best La Pointe of recent years? Drink 2020-2030. 93-95.